Is Michael Vick in trouble once again? Before last season began, the Philadelphia Eagles made perhaps one of the riskiest moves in franchise history as they took a chance on troubled superstar quarterback Michael Vick by signing him to a two-year deal. Not only was Vick fresh out of prison after serving 18 months, but the possibility of an already hostile fan base turning on the team was highly likely. Fortunately for both Michael Vick and the Philadelphia Eagles, the signing turned out to be somewhat of a success as the one-time NFL MVP was able to keep out of trouble and get better with every minute on the field. Obviously, during last season six-time Pro Bowl quarterback Donovan McNabb was still the man in Philly and there was no chance that Vick was going to get to start behind center for the Eagles without an injury to McNabb and possibly also to backup Kevin Kolb. Even though Vick getting playing time was a stretch to say the least, head coach Andy Reid found ways to implementing the once “fastest man in the NFL” into the offense. In the early going, Vick’s impact was minimal at best as he really didn’t look like the player we all remember with the Atlanta Falcons. There was no doubt that the former NFL MVP was going to need time to get his legs back, but with his playing time being as limited as it was for the quarterback, not many people thought would ever see Vick at top form again. Fortunately, as the season progressed and Michael Vick got more and more time on the field, the former human highlight reel started to show flashes of his former self and there was hope that he would once again become that dominant player we all wanted to see once again. Even though the Philadelphia Eagles looked like they had a good shot of going far in the playoffs, Donovan McNabb and company just couldn’t hang with what appeared to be a much better Dallas Cowboys team as they lost to Wade Phillips’ squad in two consecutive games. Despite not going as far in the playoffs as anticipated, the Eagles have decided to hold onto Michael Vick, but the decision to do so may have been premature as it appears the troubled quarterback might have gotten himself in trouble once again. 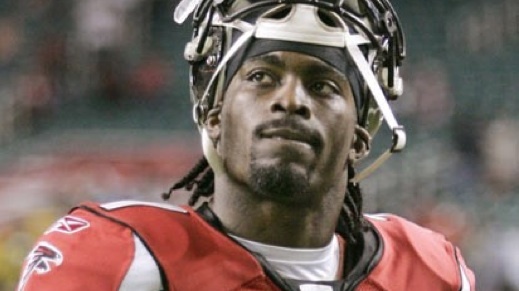 Recently, Michael Vick threw a party at a Virginia Beach nightclub celebrating his 30th birthday, but the night didn’t come without its fair share of controversy as before the night was through, a shooting occurred with an old friend of Vick’s being the prime target. Apparently, Vick had left the nightclub about 10 minutes before all the madness went down which involved his friend Quanis Phillips, but Phillips is someone that Vick is no longer supposed to consort with after he served 21 months for his involvement in the dog fighting ring which put the NFL superstar behind bars for 18 months. Obviously, this caught the eye of NFL commissioner Roger Goodell who has been upfront about what would happen to Michael Vick if he gotten in trouble once again. It is uncertain what the commissioner or Virginia Beach police are planning to do about Vick as his story about that night has some flaws that need to be rectified.